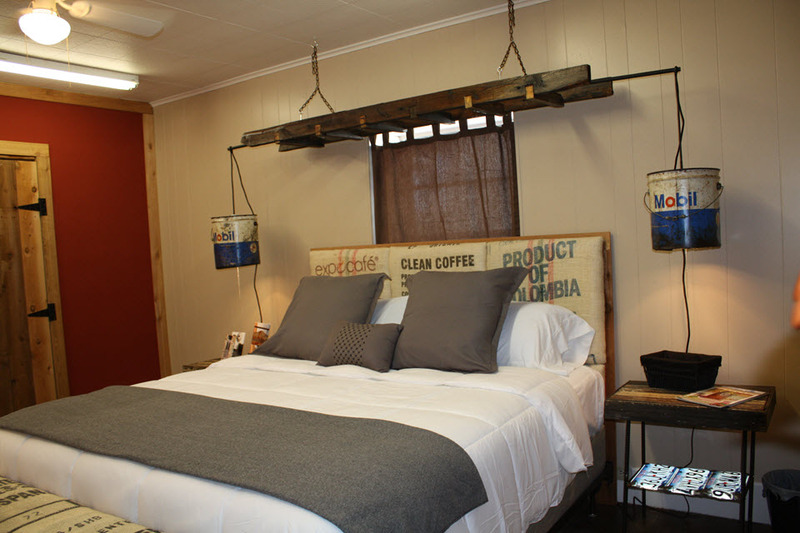 Our B&B offers three spacious guest rooms, uniquely decorated with vintage, funky rustic decor. 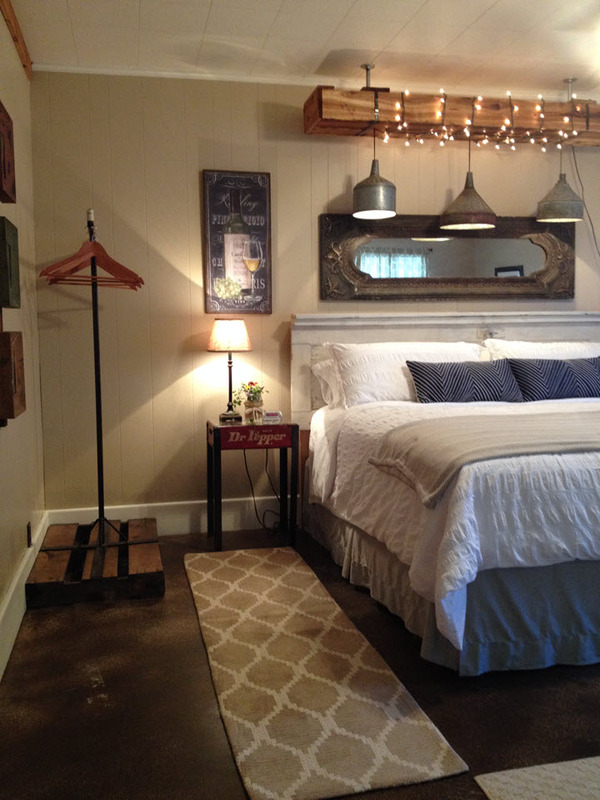 We used reclaimed materials throughout the house to add to the casual ambience of the structure. 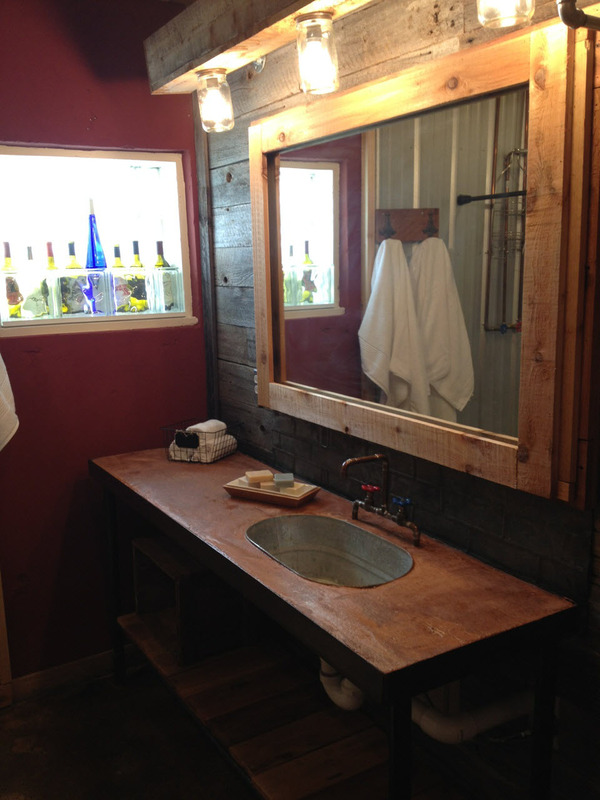 You’ll enjoy a “Romantically Rustic” stay in our 125 year old Austin stone farmhouse, of course with all the modern conveniences. 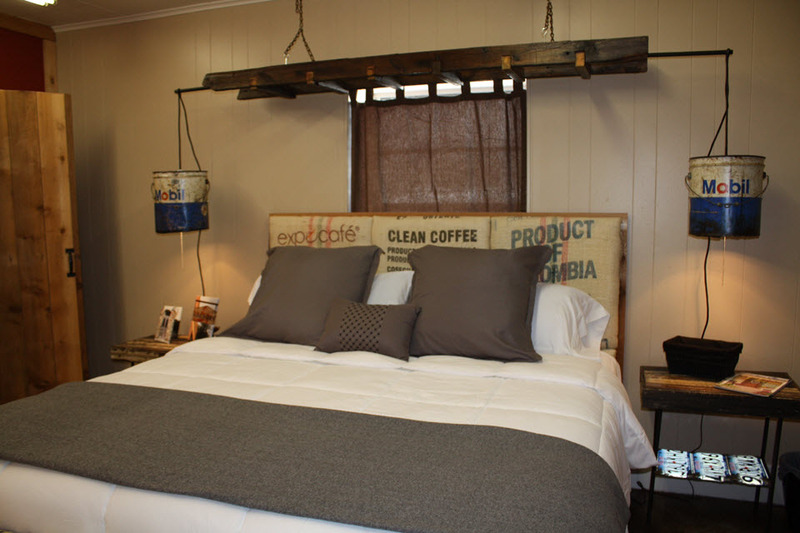 We’ve tastefully decorated with a collection of reclaimed industrial metal and wood furnishings. 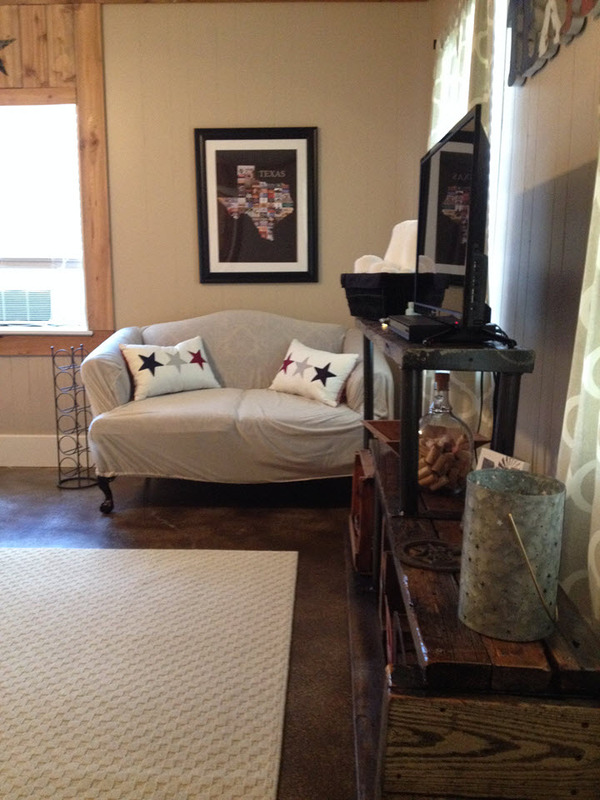 The stained concrete floors are dressed with scattered rugs. The walls are highlighted with original artwork and unique photos of Fredericksburg and the Texas Hill Country with a wine related theme. The rooms are individually climate controlled. 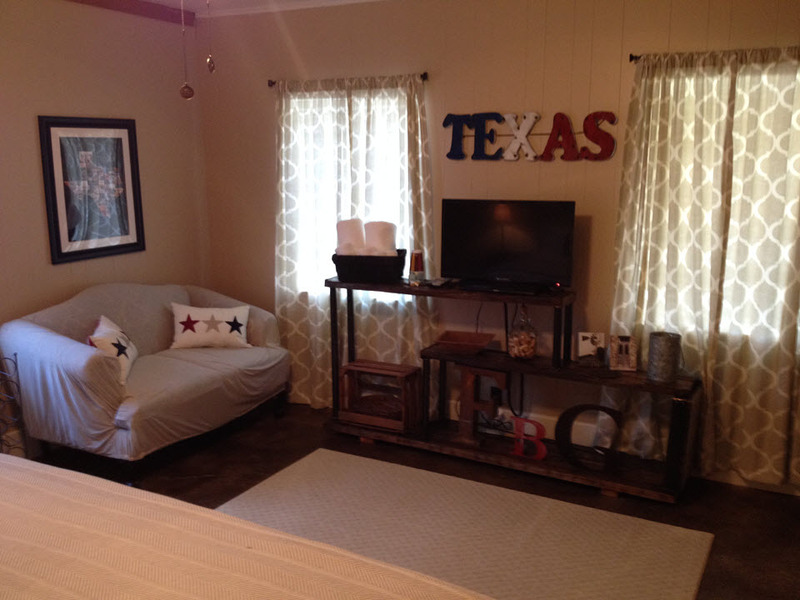 Each with ceiling fans. 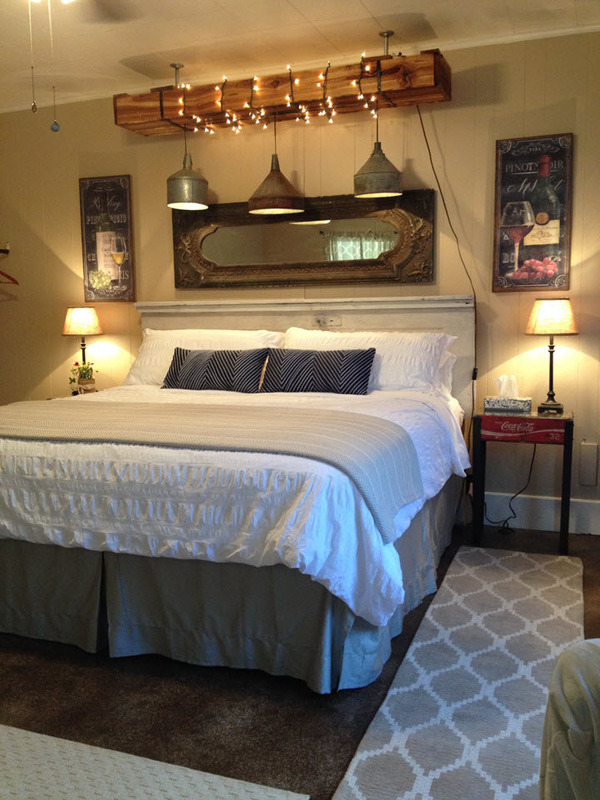 Comfortable king and queen beds accented with contemporary bedding, pillows and linens. There’s a private unique hallway shower complete with large vanity and dressing area. 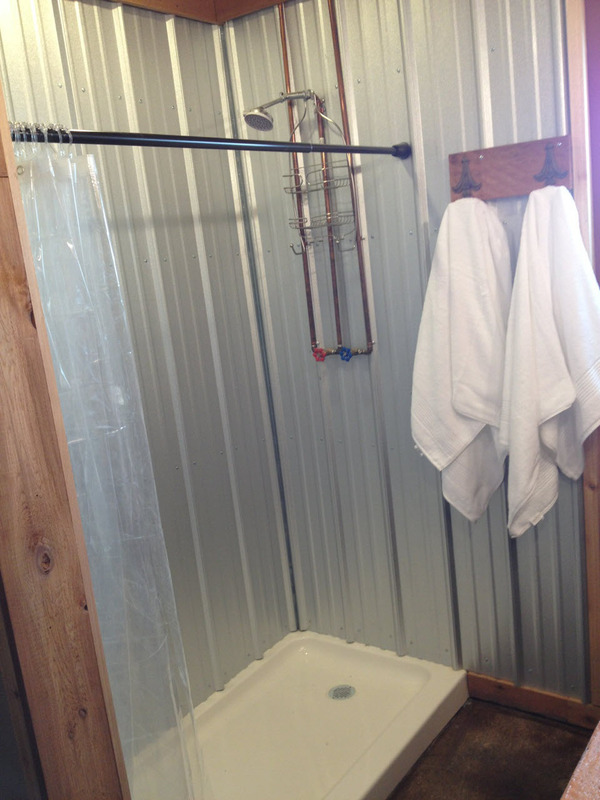 A second separate half bathroom vanity area with private toilet is located across the hall from the guest rooms. 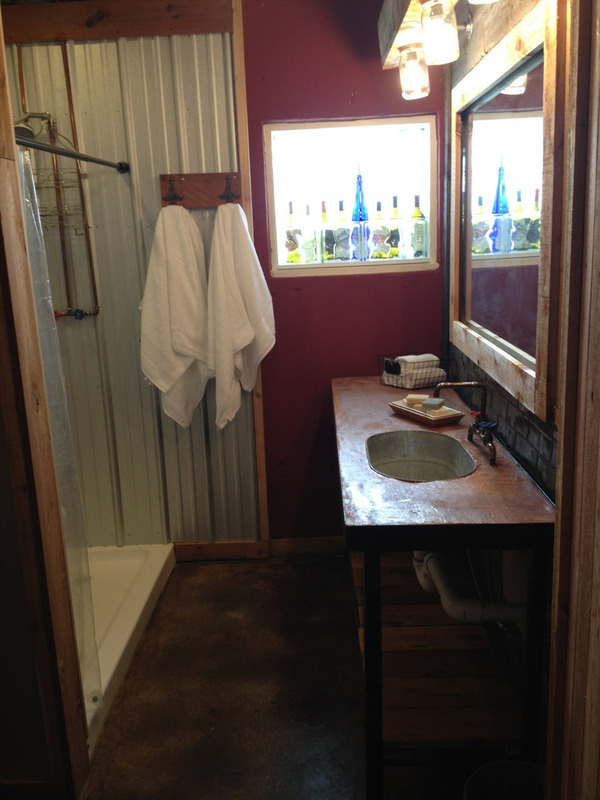 Local Fredericksburg toiletries are provided at each vanity and shower. The foyer boast a coffee and tea bar with a refrigerator and microwave for your 24 hour use. We keep the bar stock with complementary water snacks, coffee and tea. Enjoy your morning coffee or tea along with a continental breakfast served each weekend. Sit and relax in the foyer common area and enjoy breakfast or take it into the privacy of your on room. Prices subject to change on special holidays. Please call to check availability and to make reservation. We have a (10) ten day cancellation policy. If you need to cancel and give us more than 10 days prior notice, we will cancel your reservation with a $40 cancellation fee. If you give us less than 10 days you will be responsible for (1) one night’s room charge plus the $40 cancellation fee.